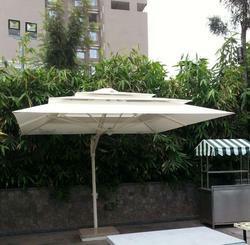 We provide side pole umbrellas that are designed based on current market trends and according to the expectations of the clients. These are best suited for outdoor use for the protection of users from the harmful elements. Our products are available in different styles. Cantilever Umbrella and Stands Set will be a beautiful addition to your patio, balcony, deck, swimming pool or outdoor entertainment area. G For Green Pvt. 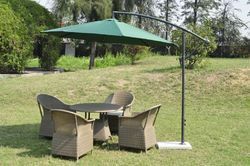 Ltd.
Garden Side Pole Umbrella With Base HU-08. - Specially designed to resist the elements.